Landstar's safety-first culture and progress in safety innovation has resulted in a 99 percent claim-free delivery rate and accident frequency that ranks well below the industry average. 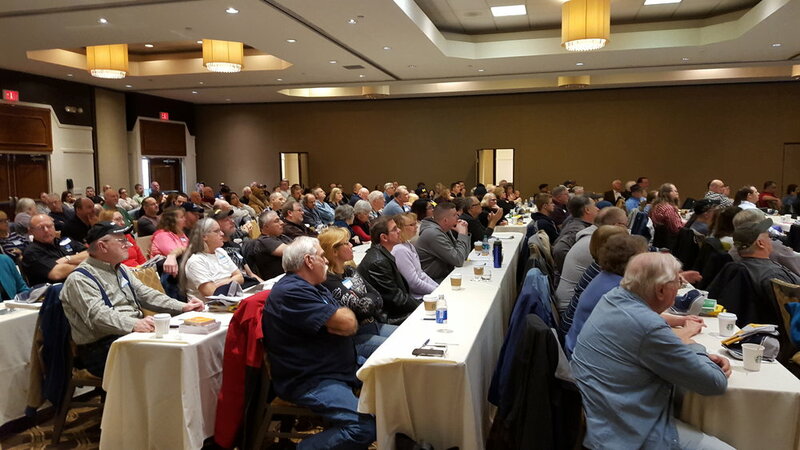 Landstar owner-operators and agents attending the 24th annual Safety Meeting in Romulus, Michigan. On the third Thursday of each month at noon Eastern Time / 9:00 am Pacific, Landstar safety managers host a company-wide conference call, also open to the public, focused entirely on training owner-operators and agents on safety best-practices at Landstar and in the transportation industry. Feel free to listen in by calling 1-877-717-5921. Landstar’s Field Safety Managers devote their time and careers to creating a constant dialogue focused on safety between owner-operators, customers, and sales agents. M.U.S.T. (Mutual Understanding of Safety Together) – A program designed to bring Landstar representatives and customers together to ensure freight is delivered safely, on time, and damage-free in a professional manner. No-Zone Events – This program educates the public about the areas surrounding a tractor trailer where the driver cannot see you, the No-Zone, and educates motorists on how to share the road safely with tractor-trailers. Law Enforcement – Field Safety Managers build relationships with state and local law enforcement officials by participating in public law enforcement events focused on safety. Data & Information- Safety managers compile and distribute Landstar's performance and safety statistics to regional representatives, sales agents, owner-operators (BCOs), and Landstar Safety Officers (LSOs). Safety Meetings – Safety managers coordinate and facilitate Landstar safety meetings in their assigned districts across the country for Landstar sales agencies, owner-operators (BCOs), and Landstar safety officers (LSOs). These meetings communicate ongoing safety and regulation changes, Landstar and industry statistics, and identify best practices aimed at reducing accidents and cargo claims. 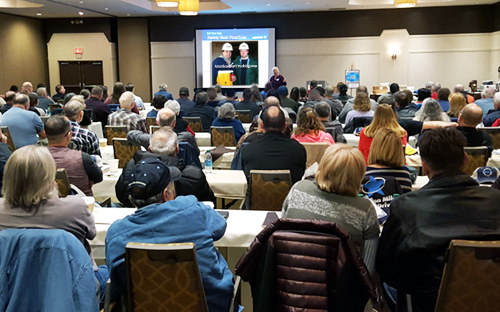 Landstar owner operators continually attend safety meetings and conferences to learn the latest in best-safety practices, regulatory changes, and Landstar's latest safety statistics. Annual Safety Meetings for Landstar owner-operators and agents. Held each year in February, Landstar's annual safety meeting updates Landstar owner-operators (BCOs) and sales agents on specific Landstar and government regulatory changes, provides up-to-date Landstar safety and performance statistics, and presents the latest safety best-practices in the trucking industry.